Climate change is an issue that impacts us all — but it’s affecting certain communities faster than others. 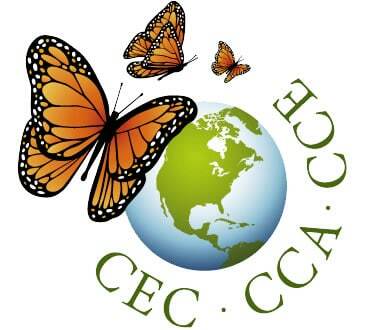 The Commission for Environmental Cooperation (CEC) enlisted Yulu for media relations support to promote awareness and engagement around the expansion of the Local Environmental Observer (LEO) Network in North America. LEO is a scientific observation platform incorporating local and indigenous knowledge that lends a voice to the communities most affected by environmental change. Yulu worked with the CEC team to ensure the LEO Network would resonate in an environment that was saturated with citizen science news — we wanted LEO to stand apart, and CEC to gain recognition for its role in the process. After extensive research, we determined that the best course would be to highlight the LEO Network and its strength as a global observation network founded on indigenous knowledge. Our strategic plan honed in on the network’s incorporation of traditional ecological knowledge to unite the dialogue on environmental change between indigenous and non-indigenous communities in Canada, U.S. and Mexico. Our engagement included an earned media campaign based on a strategic road map that included recommended target audiences, key messaging, story angles, and a detailed outreach and media engagement strategy. Yulu developed and executed a two-pronged strategy that would first amplify the launch event of three new LEO Network hubs in Ensenada, Baja California, Victoria, British Columbia and Yellowknife, Northwest Territories. In phase two, we focused on thought leadership and longer-lead opportunities. We proactively reached out to Yulu’s North American media contacts to engage with environmental and scientific journalists interested in writing features pieces and in-depth articles about LEO Network. Throughout the process, we worked with stakeholders and spokes people at a number of key organizations core to the network, including the Commission for Environmental Cooperation, Alaska Native Health Consortium and the First Nations Health Authority to bring multiple perspectives to bear on the conversation. The strategy of focusing on the convergence of indigenous knowledge and western science resonated with leading media in North America. We secured top-tier coverage for the LEO Network, including Fast Company, CBC (broadcast — radio and television), and ECO magazine. In the second phase of our strategy, our conversations led to in-depth articles being developed by Conscious Company, the Guardian, Gizmodo, Mother Jones, with many others still pending. The campaign was an overwhelming success that helped generate awareness for the LEO Network and the communities most impacted by climate change across a broad range of scientific, environmental and consumer media outlets.